The side effects of Winstrol (Stanozolol) can be toxic and hard to control. We discuss their severity and how to best avoid Winstrol related negative side effects. 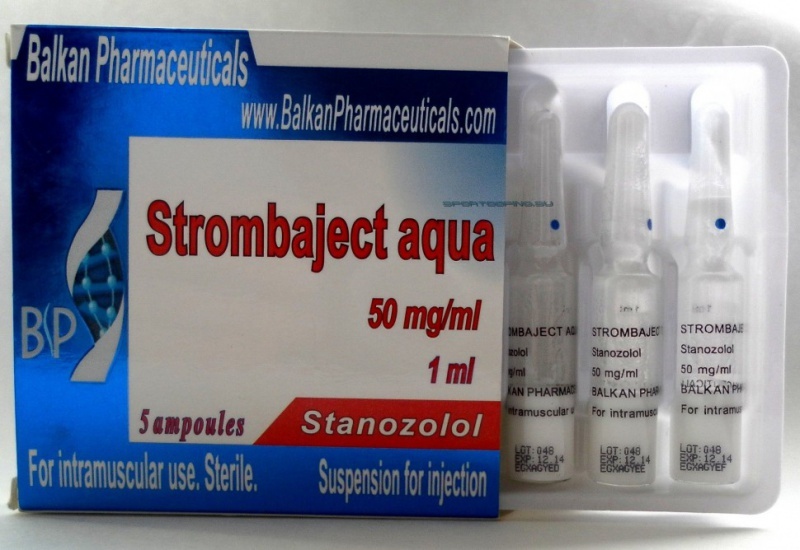 Winstrol is considered to be one of the more ‘mild’ anabolic steroids in existence. Therefore, Winstrol side effects tend to be fairly manageable and minimal, and Winstrol possesses zero unique side effects (unlike compounds such as Trenbolone, for example). Winstrol completely avoids other complete areas of side effects (such as Estrogenic side effects). It is this property that makes Winstrol one of the more favorable anabolic steroids among the others. With this being said, however, Winstrol does carry potential side effects, and shares many side effects that are common to all anabolic steroids as a whole. Winstrol avoids activity with the aromatase enzyme, and is therefore not aromatized in any amounts at any dose. As a result, it is not an Estrogenic anabolic steroid with zero Estrogenic activity. The associated side effects are nonexistent and are not a risk for the user. The associated side effects include: water retention, gynecomastia, fat retention/gain, and elevated blood pressure (as a result of increased water retention). This is one of the major reasons that make Winstrol such a favorable compound not just for bodybuilders, but all various types of athletes. Winstrol provides lean muscle mass gain (provided the user’s nutrition is adjusted properly as such) with no subcutaneous water retention associated with it. Androgenic side effects, however, are a larger issue with Winstrol. Winstrol does possess a lower androgenic rating than does Testosterone, but androgenic side effects are still a frequent issue especially considering that Winstrol is a DHT derivative. The common androgenic side effects are those that can be seen with virtually every anabolic steroid to varying degrees: increased sebum secretion (oily skin), acne (resulting from increased oily skin), increased growth of body hair, and increased probability and onset of male pattern baldness (if the user possesses the gene responsible for triggering MPB). The same virilizing side effects seen across the range of all anabolic steroids will also be seen with Winstrol where female use of the compound is concerned as well, though it will be less pronounced than other more androgenic anabolic steroids, such as Trenbolone or Testosterone. A positive note on Winstrol’s androgenic features is that because Winstrol is already a DHT-derivative, it does not interact with the 5-Alpha Reductase enzyme, which is the enzyme responsible for reducing Testosterone into the far more androgenic Dihydrotestosterone. As a result, Winstrol will not undergo any conversion to a far stronger androgenic metabolite. Therefore, the androgenic strength of Winstrol and its resulting androgenic side effects are what we can expect across the board. As with all anabolic steroids, the risk of Hypothalamic Pituitary Testicular Axis suppression and/or shutdown is a very real side effect of Winstrol. Winstrol is considered a ‘mild’ anabolic steroid by many, but it can and will still suppress an individual’s natural endogenous Testosterone production to great degrees and even possibly shut it down completely. Winstrol has displayed itself in various studies to have strong effects to this end. In one study, Winstrol administered at 10mg daily to subjects for the duration of 14 days resulted in mean plasma Testosterone levels to decline by 55%[i]. It is quite evident that Winstrol even at very low doses has the potential to severely suppress natural endogenous Testosterone production, and it can only be assumed logically that higher bodybuilding doses would perhaps result in total shutdown, or very close to it. It is therefore imperative that an individual using Winstrol in a cycle engage in a Post Cycle Therapy (PCT) protocol following the cycle for approximately 4-6 weeks so as to restore natural function of the HPTA. Without a proper PCT protocol, the user may risk destroying his HPTA and endogenous Testosterone production for life. This is always a risk when running anabolic steroids and the risk becomes especially increasingly greater as time on the anabolic steroids continues to greater and greater lengths. When it comes to the liver, Winstrol in particular has hepatotoxic side effects that occur with both the injectable preparation, as well as the oral preparation. This has been mentioned previously, where it has been described that both the injectable and oral formats are both chemically identical and both possess C17 Alpha Alkylation, which allows Winstrol to survive metabolism through the liver when ingested orally. Although the injectable format avoids this first pass through the liver, it still exhibits notable hepatotoxicity, although it is not as severe as the oral format. 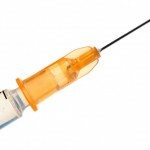 It has been noted in studies, however, that even the injectable preparation of Winstrol has resulted in significant in healthy bodybuilders[ii] It is therefore advised that both the injectable and oral formats have their cycle lengths limited to approximately 6-8 weeks (for oral Winstrol) and 8-10 weeks (for injectable Winstrol) so as to ensure proper liver function, health, and recovery. 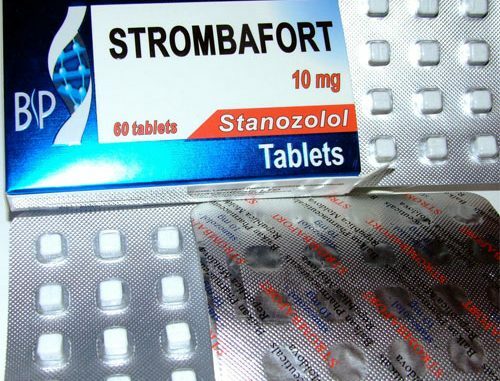 Winstrol in particular, when compared to an equivalent dose of Dianabol does not result in as much hepatic strain. Studies have administered 12mg per day of Winstrol for 27 weeks to subjects with no clinically significant changes in liver enzyme readings[iii]. As one would expect, an increase in dosage would result in an increase in hepatotoxicity. It would be a smart decision for the user to be sure to take a liver support supplement or compound that is proven to be effective, such as TUDCA/UDCA while running a cycle of Winstrol (whether it is the oral preparation or injectable). Proper bloodwork before, during, and after the cycle is also advised so as to monitor liver enzyme levels in the body. If left untreated, liver issues can end up being highly debilitating and even result (in the worst cases) in death. Finally, Winstrol, like all anabolic steroids have negative impacts on cardiovascular health. Winstrol can reduce HDL (the good cholesterol) and increase LDL (the bad cholesterol). This balance of HDL and LDL cholesterol tipping towards greater increases in LDL results in the increased risk of arteriosclerosis. This is, as with most side effects, very dose dependent. 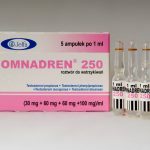 One must keep in mind; however, that the use of multiple anabolic steroids in stacks will always present greater total anabolic steroid dosages every week, and thus one should always look at the big picture in this sense rather than just looking at the Winstrol dose in a particular cycle. The other significant impact on cholesterol values is the fact that Winstrol is C17 Alpha Alkylated, and that the oral route of administration in particular tends to favor increases in LDL cholesterol to an even greater degree. This is due in large part to liver toxicity, and the fact that the liver is essentially the processing center for cholesterol in the body. Winstrol in particular has demonstrated very significant negative impacts on cholesterol values where one study had 12 healthy subjects administered Winstrol, and a significant reduction in HDL cholesterol with an increase in LDL was observed. This was the result of a single injection of 50mg of Winstrol[iv]. [i] Alteration of hormone levels in normal males given the anabolic steroid Stanozolol. Small M, Beastall GH, Semple CG, Cowan RA, Forbes CD, Clin endocrinol (Oxf). 1984 Jul;21(1)49-55. [ii] Androgenic/Anabolic steroid-induced toxic hepatitis . Stimac D, Milic S, Dintinjana RD, Kovac D, Ristic S. J Clin Gastroenterol. 2002 Oct;35(4):350-2. [iii] The influence of 6 months of oral anabolic steroids on body mass and respiratory muscles in undernourished COPD patients. Ivone Martins Ferreira, leda Verreschi et al. CHEST 114 (1) July 1998 19-28. [iv] The effect of intramuscular Stanozolol on fibrinolysis and blood lipids. Small M, McArdle BM, Lowe GD, Forbes CD, Prentice CR. Thromb Res. 1982 Oct 1;28(1):27-36.